Thomas Manchester was born in Sandy Point in 1890. The son of James Thomas Allan Manchester, a owner of two small estates- Lynch’s and New Guinea. He was also the attorney for the Blake’s Plantation. Thomas was the sixth and the second son of his parents seven children. Thomas Manchester is undoubtedly the “Father of Kittitian Politics and Trade Unionism”. Popularly and affectionately known as “Mr. Tom” especially by Sandy Point community of his day the tall, lean, fair-skinned planter turned “Revolutionist” threw caution to the wind, distanced himself from his planter class connections and devoted much of his life educating the toiling black masses against the existing capitalist system and championing the cause in the face of immense difficulty and pressure and at overwhelming personal sacrifice. 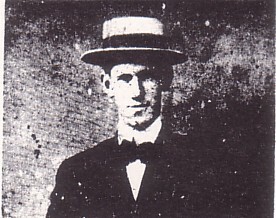 “Tom” Manchester was born six years before the “Portuguese Riots” at Needmust Estate, where following an industrial dispute over a demand for higher wages, the workers went on strike and burnt fields of sugar cane. Sporadic incidents occurred on estates around the island. The young Thomas Manchester grew up in a middle-class environment and assumed the position as Manager of the family business. He could not come to terms with a system which permitted the mother country, Britain to distribute jobs in the Civil Service to Europeans and ignore qualified colonial subjects if they are were Black. The system had become so negative that for many a native son who loved his native land, going away to study was going away for good, because unless the qualification was in medicine or law which could provide independent employment and revenue, there was no job to return to in the field that he studied unless perhaps he was white and a part of the Crown Colony establishment. This problem might have been a part of Tom’s experience while a young man in Canada. Qualified with no job to return to, he may have had first confrontation of the British colonial policy. He did return to manage his family business. Thomas returned to succeed his father as a pillar of the St. Anne’s Anglican Church. He placed his knowledge of building construction at its disposal and was sent by the Bishop to Montserrat to supervise the rebuilding of the Anglican churches there which had been destroyed by hurricane in 1928. It was in Monterrat that he met and married Ada Killikelly, the daugher of the Reverend and Mrs Killikelly of the Methodist Church. They returned to St. Kitts where their only daughter Kathleen, was born. Kathleen did not grow up to know her mother, who had died before she was five years of age. Thomas Manchester buried his grief in his work, assuming the ownership of Lynch’s Estate and the management of New Guinea Estate which was left to his sisters by their father. He also opened a building materials and hardware store on his property at Main Street, Sandy Point appointing Sandy Pointers to manage it. “Mr Tom” established the St. Kitts Workers League Ltd., and was elected its first President in 1932 at a time when only the most able men – men of earnest sincerity, great courage and precious foresight – would dare to be involved in associations devoted to the up-liftment of workers in the field or the factory or organisations which adopted the anti-colonial posture. The so - called Buckley’s Riot was not an item in Manchester’s agenda, nor was it a strategy of the Workers’ League to send the workers on this adventure. However, although the leaders were caught by surprise by the workers’ self-assertion as well as by the state of emergency, they quickly identified themselves with the mob, providing a means for some to escape to Statia, Saba and St. Barths, and providing others with legal representation for the trials which followed. The unrest which arose as a spontaneous expression of the frustration of the workers made Mr. Manchester aware that the workers needed a trade union, to enable them to channel their protests with discipline, and without violence. Mr. Manchester asked his cousin, Edgar Challenger, who had recently returned from Canada, to set up the St. Kitts-Nevis-Trades and Labour Union. Thomas Manchester who had his dream partially fulfilled when elections returned to St.Kitts in 1937 and his party won two of the three elective seats in the new Legislative Council. The legacy which Thomas Manchester left behind for his fellow Kittitians was fruitful. He had convinced the Moyne Commission in 1936 that what St. Kitts wanted most was the economic and social infrastructure for a viable economy. He therefore advocated the improvement of health and education, the distribution of land for the purpose of establishing a peasantry, the legalization of the trade unions for the disciplined and non-violent resolution of industrial conflicts and the restoration and upgrading of the elective process under which kittitians would choose their own government. The British agreed with the ideas that, if the housing, health and elementary education of the working classes were improved, if a peasantry was established, then the productivity of workers would also improve and economic growth would result; if trade unions were allowed to organize the workers, then organized workers would learn to conduct themselves with discipline so that the likes of the unrest of 1935 would never happen again. Manchester did not live to see his labours come to fruit. His preoccupation with politics had caused him to virtually neglect his business. His well reported kindness did not help either. He became vulnerable to the planter and business interests who had their own political axes to grind and who had found Manchester’s commitment to the workers to be their antithesis. His businesses had accumulated debt. His creditors threatened to fore-close. His own estate at Lynch’s was sold to keep the ‘bad dogs’ at bay. It did not suffice. His sisters took the decision to sell New Guinea. This proved too much for Mr.Tom to bear. He developed a nervous itch and died in 1942. His mission was not accomplished. Kittitians were still landless, still tied to the plantations. But they stood at the river Jordon waiting for a Joshua to take them to the promised land. Kathleen Dorothy, the only daughter of Thomas Manchester and his wife Ada Killikelly was born in Sandy Point on the 4th December 1923. Ada died five years later and the little girl passed into the hands of four aunts. Unmarried and with no children of their own, they lavished their attention on their orphaned niece and treated her like a little princess. This left her father free to throw his energies into the political arena where he founded and, for a number of years, lead the Workers’ League. At age five little Kathleen was sent to an infants school in Sandy Point and four years later she entered the Girls’ High School or Miss Pickard’s school as it was then known where the girls learnt not only academic subjects but also practical ones such as first aid, home nursing and book repair. They were also taught to value dignity, discipline, cleanliness, service to and participation in the community. Travelling to and from Sandy Point on a daily basis was no easy task in those days so arrangements were made for young Kathleen to remain in Basseterre during the week. She stayed at home of Mrs. Lou Challenger, her father’s cousin. In December 1941, Kathleen Manchester joined the Civil Service as a junior clerk in Administration. Her father’s failing business interests which had repercussions on her aunts’ fortunes and his declining health would have meant that she had to place herself in a position that would guarantee some independence. Thomas Manchester died on the 31st January 1943 and Kathleen continued in the service for another four years. In 1949, following in his footsteps, she left St. Kitts and went to Canada to pursue her studies. Alan Manchester, her paternal uncle gave her accommodation. Kathleen had hoped to pursue studies at the University of Toronto but a late arrival prevented her enrolment as a full-time student. She later went to Scotland and on the 4th July 1958, Kathleen Manchester graduated with a Masters in English from the University of Edinburgh. She was probably the first Kittitian woman to achieve that academic distinction. She was also given an award by the Senate of the University to research Constitutional Developments in the West Indies since 1832 with special reference to the Leeward Islands for her Doctorate, a topic that must have been inspired by the involvement of her father and grandfather in the politics of the colony. Manchester visited St. Kitts soon after graduation on what she intended would be a research visit and in December she wrote a progress report on her work which showed that she had covered a great deal of ground in St. Kitts. However she now faced domestic obligations which conflicted with her academic commitments, as her three elderly aunts were ailing and in need of her support. Her plans for an early return to Scotland were put on hold but still she did continue the research towards preparation of her doctoral dissertation. To supplement her award from the University she also took a part-time secretarial post and worked as a lecturer for the Extra-Mural Department of the University College of the West Indies. She also taught English and History at her old school - the Girl’s High School. Her interest in history seems to have coincided with a similar interest shared by Robert Bradshaw whose attention had been drawn to the unfavourable conditions in which the archives of the colony where being kept at the Court House. His recommendation facilitated the research that Manchester wanted to do and he hoped that it would bring order to the records. Manchester threw herself into the job with a passion. She recognized the value of the records and hand copied records herself and at times paid some youngster to help her. Her work however came to an abrupt end when someone raised a suspicion that her interest in the records went beyond research. A circular from the Chief Minister to the Executive Council did not mince words. Having regard to Miss Manchester’s indiscretion of removing the records to her home and her idiosyncrasies which invariably lead to friction in her relationships with other people it would not be wise to give her the same untrammelled freedom of access to the records. Stays in Barbados and Trinidad followed. There she worked as a freelance journalist for newspapers and radio and continued her efforts to write both fiction and non-fiction works. It was during her time in Trinidad that she completed and in 1971 finally published her book Historic Heritage of St. Kitts, Nevis and Anguilla a small but comprehensive and well illustrated encyclopaedia that covered a wide array of topics, from the Siege of Brimstone Hill to carnival queen shows. A comment in her Acknowledgements attests to the difficulties she experienced. Manchester bore the cost of publication which she tried to recoup through the sale of advertising space in the book. Confident in her own talent and undeterred by the lack of public interest, Manchester prepared other material for publication under the pseudonym of Kathleen Killikelly. This included The Power of the Dog - Fig Tree a novel of intrigue and passion set in St. Kitts of the 17th Century and researched papers with such titles The West Indian Unit Territory of St. Kitts-Nevis-Anguilla; Appointment of Executive Council and Administrative Committee for St. Kitts and Anguilla; and Slave Amelioration in Saint Christopher, West Indies. As Miss Katie, dressed in traditional costume, with her head tied, Manchester entertained locals and foreign visitors and dignitaries with skits in Kittitian dialect and was often invited to perform at state functions. Once again, Manchester took up residence abroad, first in Antigua, then again in Barbados and Trinidad. Life as a freelance journalist, novelist and sometime teacher was far from lucrative. Eric Skerrit, a successful businessman in St. Kitts, quickly realized that the demand for it warranted a second printing. He even offered to pay for the printing of the first five hundred copies. Totally enthused at the prospect of her work being circulated again, Manchester returned to St. Kitts write an update. However to many she had become a “bothersome” person who talked ceaselessly and she found it difficult to raise the much needed interest and support for her endeavour. Manchester’s last years were marked by increased bitterness. Often in difficult financial circumstances, she could do nothing as portions of her work, were used wholesale in other publications and her authorship was never acknowledged. Still she plodded on hoping to re-published her beloved Historic Heritage. Kathleen Manchester died alone at her home in Sandy Point on the 21st January 1992. Today, there have been 26 visitors (63 hits) on this page!